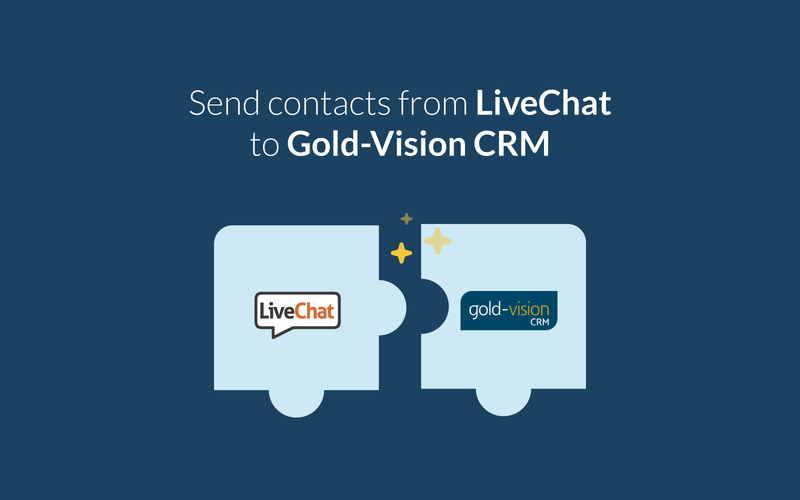 The integration allows you to display customer data from your Gold-Vision CRM in LiveChat. It also enables you to create new CRM records while talking with clients. Gold-Vision is a highly configurable CRM software that unifies sales and marketing across all industries. The platform is fully featured, covering all aspects of customer support, projects, event management, and reporting. Users can integrate it with many day-to-day essentials including Outlook, Exchange, Gmail, Eventbrite, social media networks, and of course LiveChat. Gold-Visio includes various sales and team management tools that give you a clear perspective on how leads are performing. Users can capture data automatically from website forms, LiveChat or IP tracking tools. What’s more, Gold-Vision lets users define touch points to score leads, and get a live view of the pipeline. The solution enhances the sales process with various sales automation features: reminders, deadlines, and follow-ups. Display Gold-Vision information about your customers straight in your LiveChat window. With no need to switch between your tabs you can focus on your customers, providing them with a quality support that they deserve! Just gained a new customer via chat? That's great! Now you can create a new record for him, straight during a chat conversation – no need to leave your LiveChat. Relevant CRM information such as a company name, the last order and a phone number is displayed directly in the chat window so you can offer more personalized, informed service from the start. With LiveChat, you can have a direct contact with customers and improve loyalty to your brand. Start using LiveChat with Gold-Vision now!